Bárbara Bordalejo is an Assistant Professor of Digital Humanities at KU Leuven (Belgium), a member of the executive of Global Outlook:: Digital Humanities, and an elected member of the executive committee of the European Association for Digital Humanities.Her research interests focus on the theoretical aspects of textual criticism, especially computerized methods and the history and future of the book (including e-books and e-book readers). She is interested in the application of phylogenetic software to the study of large textual traditions. Barbara also writes about digital literature and transmedia storytelling, as well as the transformational impact of digital culture on our ideas of authorship and copyright. She advocates data-sharing through creative commons licences without commercial restrictions. 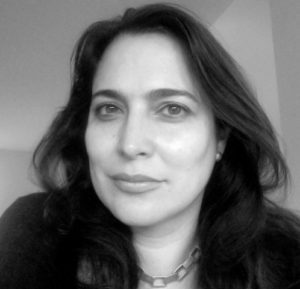 She teaches digital literature, digital textuality, new media, and English and American literature. Leonardo Flores is an Associate Professor of English at the University of Puerto Rico: Mayagüez Campus and the Treasurer for the Electronic Literature Organization. He was the 2012-2013 Fulbright Scholar in Digital Culture at the University of Bergen. His research areas are electronic literature, poetry, and preservation of first generation electronic objects. 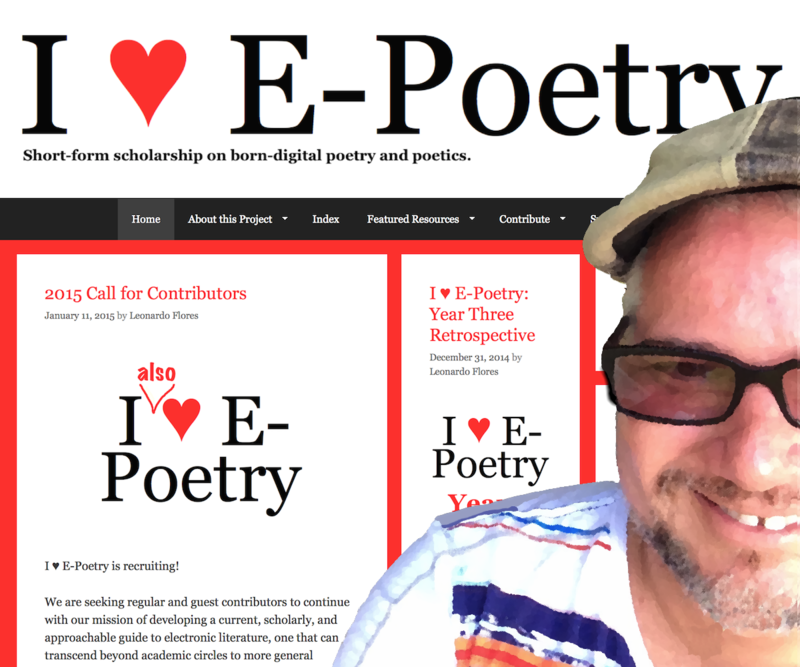 He launched I ♥ E-Poetry on December 20, 2011 as a 500 day daily scholarly blogging performance, and opened it up for collaboration. He is part of the Editorial Collective for the Electronic Literature Collection, Volume 3 (forthcoming 2016). For more information on his current work, visit his blog at leonardoflores.net. Interested in working with us? Check out our Call for Contributors.